Property giant Megaworld is expanding its commercial retail portfolio this year, with the opening of 11 commercial properties across its townships all over the country. By end of the year, the company will open new retail spaces in Iloilo Business Park in Mandurriao, Iloilo City; Alabang West along Daang Hari in Las Piñas City; McKinley Hill and Uptown Bonifacio, both in Taguig City; Arcovia City in Pasig City; Boracay Newcoast in Boracay Island, Aklan; and Davao Park District in Lanang, Davao City. FESTIVE WALK. During the second half last year, Megaworld opened its first full-scale lifestyle mall in Iloilo Business Park, the P2.2-billion Festive Walk Mall, offering around 90,000 square meters of retail spaces. “The biggest chunk of the new retail spaces will be in Uptown Bonifacio, as we embark on an expansion of our new retail row in front of Uptown Mall and Uptown Parade. We are also launching a new retail development inside Arcovia City, our newest and must-visit township along C-5 in Pasig fronting Valle Verde. Down south, there is something exciting coming up in Alabang West, which is part of our Beverly Hills-themed commercial row,” said Kevin L. Tan, Megaworld chief strategy officer. 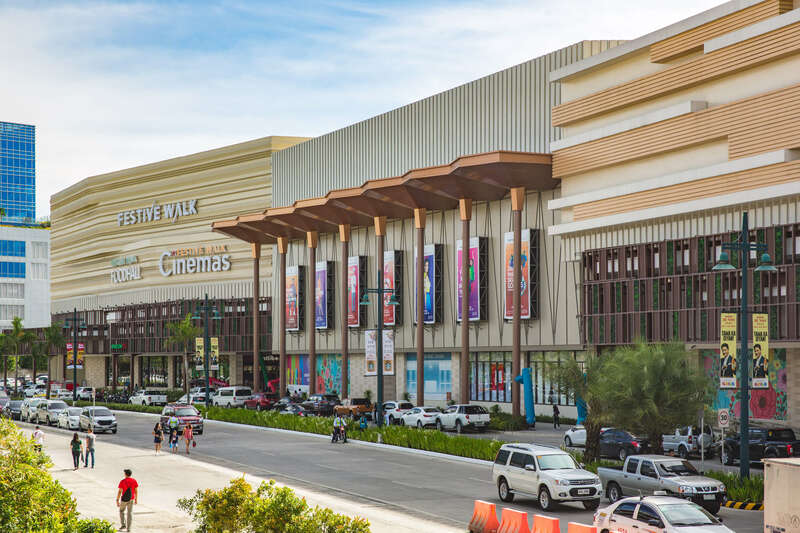 During the second half last year, Megaworld opened its first full-scale lifestyle mall in Iloilo Business Park, the P2.2-billion Festive Walk Mall, offering around 90,000 square meters of retail spaces. It also opened three new community malls in Alabang and Makati, namely, The Village Square in Alabang, Muntinlupa City; Three Central in Valero Street, Salcedo Village, Makati City; and San Lorenzo Place in EDSA corner Chino Roces Avenue, Makati City. These three new commercial centers offer around 26,500 square meters in retail spaces. “Every mall that we build has curated spaces that evoke the character of the township where it is located. We want to create commercial properties that are not just for shopping and dining, but those that help drive tourism,” said Tan. By yearend, Megaworld’s commercial retail footprint will reach around 771,000 square meters, with presence all over Metro Manila, Luzon, Visayas and Mindanao.